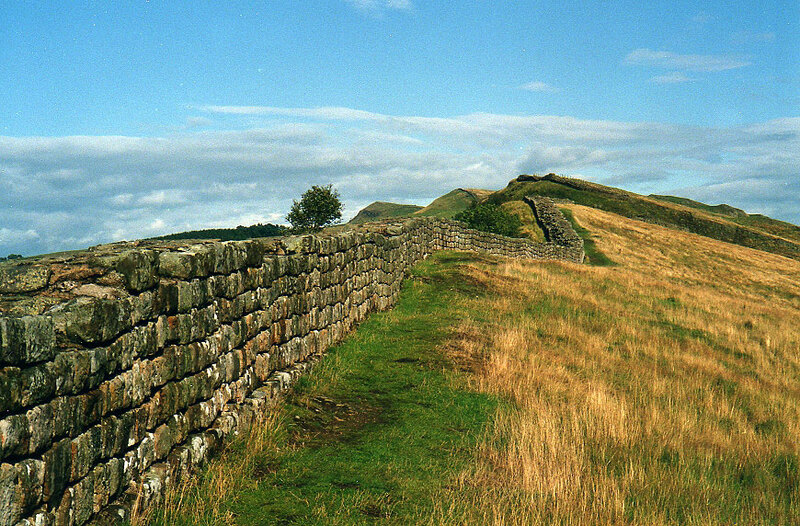 This stage is famous for its time beside some of the finest sections of Hadrian’s Wall, but there is less awareness of what else the Pennine Way visits in its northernmost sections. Initially, not very much at all; some rather nondescript sections of moorland, strung unconvincingly together to form a route, until reaching the Wall north of Greenhead. From the Wall, look north over wild and rough country, little changed from the days of legions and reivers: that is where the Way goes. From here to the finish at Kirk Yetholm, several days away, there is only one settlement of any size, Bellingham. Many miles of the Border forest, which encircles Kielder Water, lie to the west of the Way. 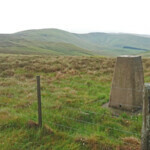 At the small forestry settlement of Byrness starts the last mountain stage of the Way, across the Cheviot Hills, to the eponymous summit, beside the border fence for much of the way. Kirk Yetholm is just inside the Scottish border. When the PW was established, there was no shelter at all on the last 26 miles from Byrness (there are now a couple of refuge huts that can serve as bothies), so many made one last grand day of it; fewer seem to do that now, either diverting into Coquetdale, using the huts, or wild camping. 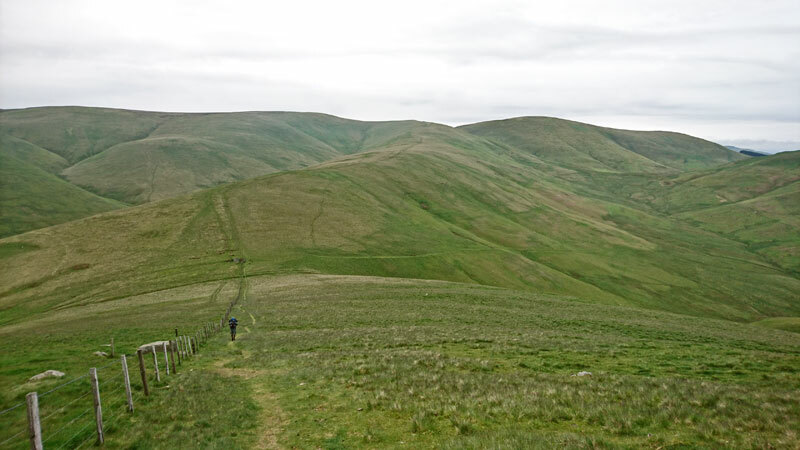 When I finally came through this way in 2016, partly on my cross-England walk and partly on a completion expedition later, I camped one night, and used a hut on the other – but only because I was bagging all the Cheviot Hewitts at the same time. 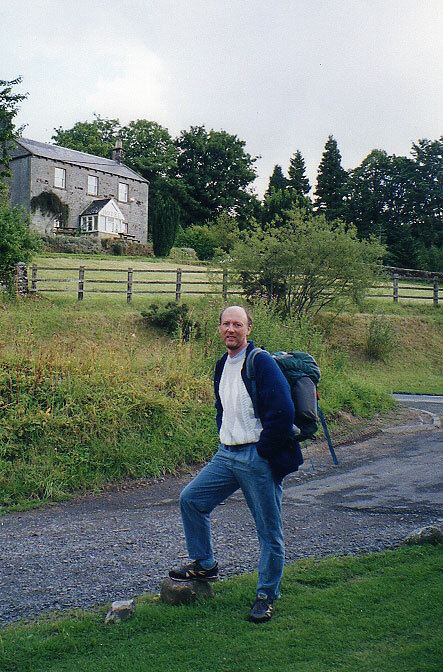 The notes from this page are taken from my 1994 walk with Dave Travers. 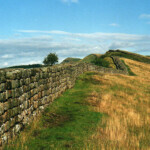 I’ve also walked the Hadrian’s Wall stages, in reverse, with my wife and son, in 2007; see my Hadrian’s Wall page. It’s a pleasant start from Alston, looking back over the South Tyne to the town, but then the river is left behind for a detour onto some pretty unpromising moorland. For a time you flirt with the old Roman Maiden Way, and indeed you pass by the edge of a Roman fort, the first indication of the grandeurs to come. Eventually you come closer to and eventually beside the South Tyne on the way in to the unhappily-named village of Slaggyford, where we stayed the night. 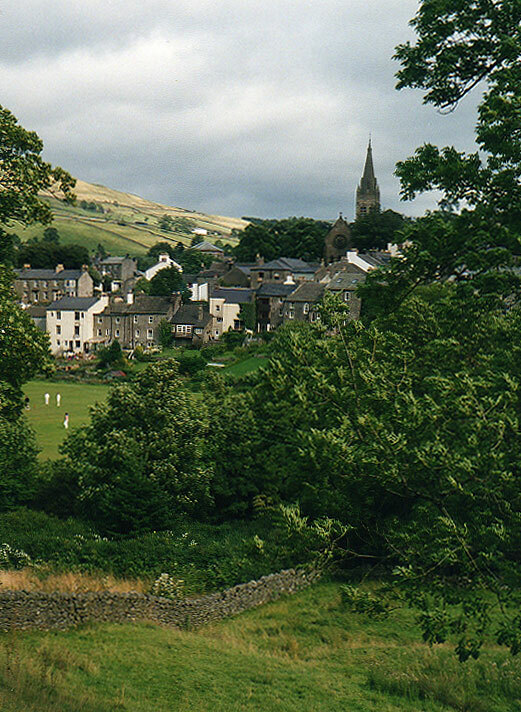 Alston is known as the highest market town in England, and its branch line railway – still open when I came this way in the 70s – was maintained so long only because it was the sole reliable winter route into town. 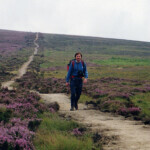 29 August 1994: Slaggyford to Once Brewed, 18 miles. The Way starts off close to the old railway for a while before skirting yet more anonymous moorland to near the village of Lambley. More meanderings around fields and moors follow – really, it can get very tiresome – before a fitting reward: the outer vallum (defensive ditch) of Hadrian’s Wall, down a little lane to the mediaeval Thirlwall Castle. Here we sheltered in a cafe from a vicious rain shower – it had been on and off all day. The Wall runs through here but its route is not easily discerned. That changes at the next road, when the whin sill outcrop is encountered at a quarry and, beyond the workings, the Wall is visible at last. It’s not only the Wall that takes the imagination. Most of the Roman milecastles and turrets are present still, and you soon come to the earthworks and other remains of Great Chesters Fort. On this day’s walk, we had another three miles of classic wall walking, in and out of showers and sometimes hail, over Windshields Crags, the highest part of the Wall. Like many walkers we took accommodation at Once Brewed. 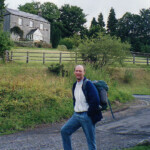 There is a youth hostel here, but we chose the Vallum Lodge guest house. Two more miles of excellent Wall walking before you head off north into what looks like, and for England undeniably is, a bare wilderness. It’s easy to get disorientated in the boggy ground beyond the Wall, but you soon dive into the Wark Forest. There is an awful lot of this until more open country is entered around Warks Burn, a tributary of the North Tyne. 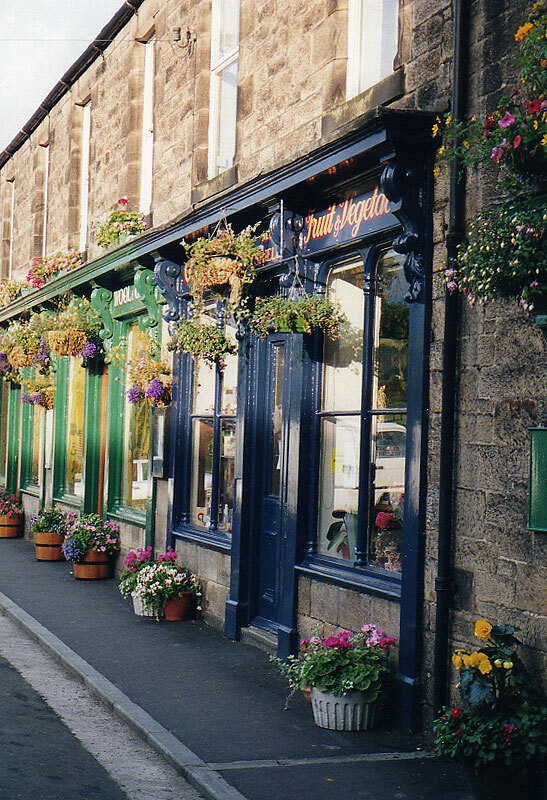 Unlike the South Tyne, which the Way stays close to for some miles, the North Tyne is encountered only once, at Bellingham, a pretty little place with a flower-girt main street. Our B&B, Lynne View, is still open for business. There are some interesting low hills beyond Bellingham, topped by Padon Hill, which has a large stone monument. 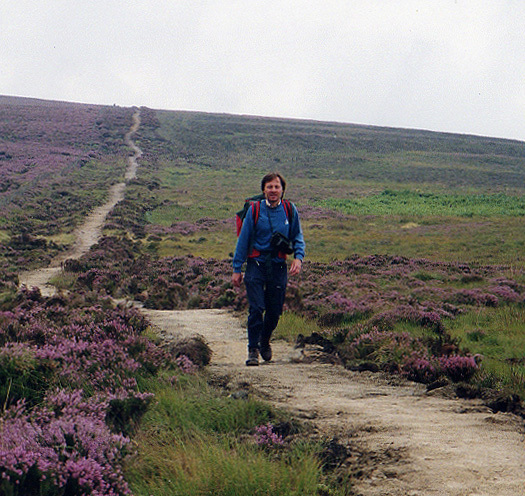 Certainly in 1994, their place on the Pennine Way did not lead to obvious tracks across, and we found it quite taxing to plot the corrct route. One more stretch of forest then remains, the Redesdale Forest, named after the River Rede, another North Tyne tributary. The Way then stays close to the Rede for its last two miles into Byrness, passing the camp site at Cottonshopeburnfoot which I used in 2016. In ’94 we stayed in the Byrness Hotel, for many years the traditional last staging-post for Wayfarers, but by 2016 it was closed. (A ‘walkers’ inn’ has since opened in Byrness village, though I’ve not used it.) I recall we had been shadowing an end-to-end walker for a few days, who by now was living on Ibuprofen, but determined to finish the last 26 miles in one hit; the hotel left him a full protein-rich breakfast for the morning, as he was planning a 4am start. We returned home the next day; we had planned to catch the daily Edinburgh to Newcastle coach, but as rail services had been hit by disruption there was no room for us, so we had to taxi to Otterburn, which had slightly more regular services. There is more about the 2016 stage on my cross-England pages. 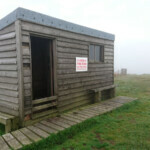 Note though that I avoided the notorious Rumblingsikes bog with a little diversion – if I hadn’t done it in ’94, then as an ethical walker, I wouldn’t have been allowed to avoid it in ’16. More information on my cross-England pages. Davidson’s Linn is a popular wild camp site, less than a half-hour from the border ridge and about half-way between Byrness and Kirk Yetholm. 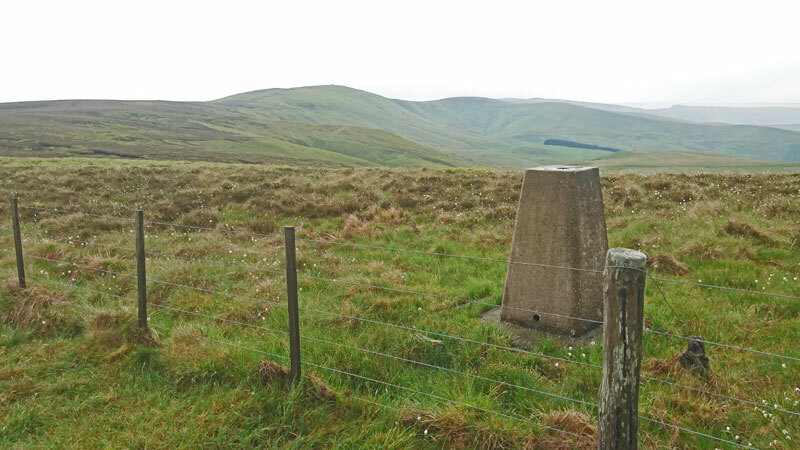 On the second of these two days, I took the Way to the summit of The Cheviot, back-tracked a little, then headed off via Comb Fell and Hedgehope Hill to Wooler. This is described in more detail on my Alwinton to Auchope page. The only ‘new’ PW territory was the mile-and-a-bit from the Cheviot junction down to the hut! What a lovely walk is this. 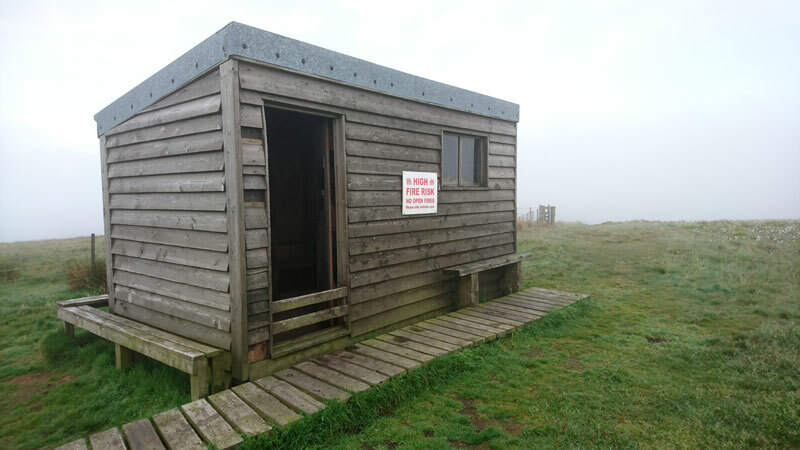 Auchope hut itself is beautifully sited, 1600ft up, with a wonderful view into the green chasm of Hen Hole, with distant views out into the verdant dales leading away from the Cheviot massif. 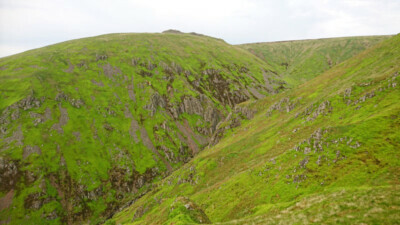 And this side of the Cheviots is so unlike the southern and eastern aspects. Gone are the peaty messes that have led the Way’s conservators to install mile after mile of stone flagging, and in their place is soft springy grass, a delight to walk on. It totally belies the Cheviot’s rough reputation. I had a companion today, a nice way to end my 45-year traverse. At the hut I met Rob, a 62-year old vet from Utah, enjoying a month or two walking around Britain as a retirement present to himself. He’d picked up the Pembrokeshire Coast Path before heading to St Bees, walking half the coast-to-coast to Keld, then setting off north up the PW. This is a guy whose regular walking is the deserts and canyons of the western US, and he was still relishing the miles that we could bring him. 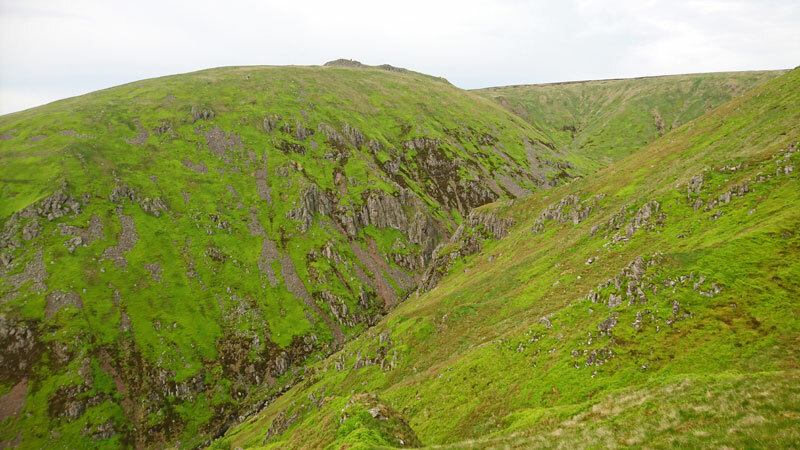 The walk itself heads first to The Schil, at 1985ft just short of Hewitt status but with its tor-like top far more deserving of that accolade than, say, the grotty dump called Comb Fell just south of The Cheviot, or indeed of The Cheviot itself. 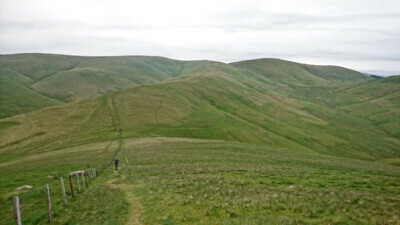 From there the way gallops on its undulating course, the Southern Upland hills drawing the eye – the Eildon hills above Melrose a marker to my course on the Southern Upland Way the month before – contouring round Black Hag, and a last summit of White Law, before the final dip to the valley. There is a lower-height alternative, useful if the weather was rubbish – I would have certainly taken it yesterday – but nothing like as good on a day like today: we’d woken to mist, but soon burning off, leaving some of the valleys in inversion, before the sun covered all. 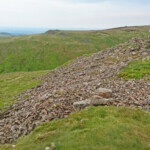 A glorious end to 45 years on the Pennine Way. Kirk Yetholm is a lovely place to finish, a charming little village with a pleasant green and a thriving pub, the Border Hotel. Not a bad place to spend a couple of hours before the bus. And the barmaid insisted I get my certificate and free half-pint for completion, despite having taken roughly 2,000 times longer than standard.